Honda said quarterly profits in North America fell because its sales mix shifted from higher-margin vehicles such as the Acura MDX, pictured, to lower-margin cars such as the Honda Accord. TOKYO -- North America remained Honda Motor Co.'s biggest profit engine in the April-June quarter, but a smaller mix of high-profit vehicles undercut otherwise robust regional earnings. Operating profit in North America, by far Honda's biggest market, declined 13 percent to ¥71.86 billion ($763.17 million) in the Japanese manufacturer's fiscal first quarter. The slide came despite a 2 percent increase in North America vehicle sales to 459,000 units in the period, from 450,000 a year earlier, Honda said in its July 31 earnings announcement. The problem: Honda's sales mix shifted toward lower-margin cars, such as the Honda Civic and Accord sedans, and away from higher-margin vehicles such as the Acura MDX. "The change in mix was drastic," Executive Vice President Tetsuo Iwamura said. "We had fewer light trucks this quarter. 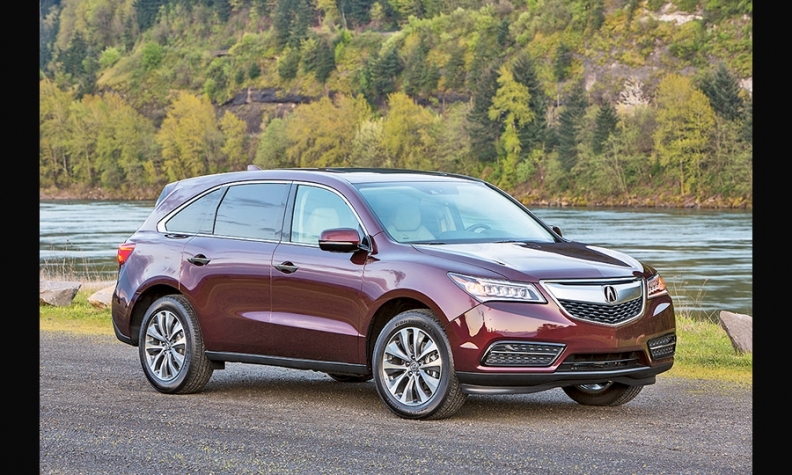 The margins on the MDX and the Accord are very different." A redesigned Acura MDX crossover, typically a big seller, went on sale in June but arrived too late to tilt the balance. Deliveries of the MDX tanked as production of the new generation shifted to Honda's Lincoln, Ala., factory from Ontario. Honda's operating profit margin for North America dipped to 4.8 percent in the first quarter, from a healthier 6.8 percent the year before, even as revenues climbed. That put North America's operating margin below Japan's, which rose slightly to 6.4 percent, helped by a weakening yen. Still, North America was Honda's top grossing profit center. It drove a 5 percent increase in parent company operating profit to $1.96 billion in the quarter. Global revenue rose 16 percent to $31.16 billion even as unit sales held flat at 999,000 vehicles. Declining sales in Japan offset gains in every other region.